Founded in 1993, we are an online retailer of bright light therapy boxes for treating seasonal and non-seasonal depression, sleep disorders, and bipolar disorder. Alaska Northern Lights was started by Neil Wagner in 1993 in Homer, Alaska. Neil was looking for an answer to his wife's debilitating health problems and found that light therapy relieved many symptoms, including depression and lethargy. Neil designed and manufactured the original light box which is still being sold today, and after 23 years of overwhelming positive customer feedback, customer referrals and doctor referrals, we know that we have the most therapeutic, best quality light box on the market! Our 60 day, 100% money back trial period and Lifetime Warranty on the NorthStar 10,000™, lets you know that we believe in and stand behind what we sell. Your satisfaction is our #1 priority. After 15 years of growing Alaska Northern Lights, Neil decided to retire and reached out to his friends to find a successor. In February 2008, I took over the helm. Neil and I had both come from Duluth, Minnesota and knew each other from 30 years before while we both worked in the fishing industry in Northern Alaska. Neil settled in Homer, Alaska and I went on to build several successful businesses. Currently, I live and work in Northern Nevada. Our Mission: To promote the benefits of bright light therapy around the world. Cort Christie, President Alaska Northern Lights, Inc. I have always had trust in alternative health solutions that did not involve taking prescription medications. 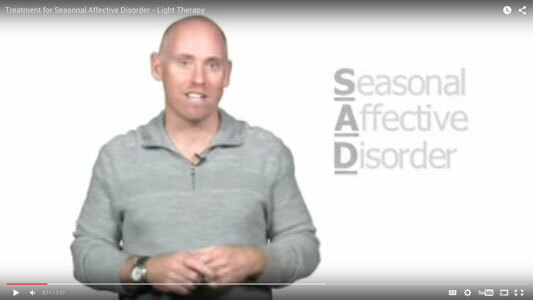 Helping others successfully treat depression and Seasonal Affective Disorder with light therapy was a great solution. Having spent the first 24 years of my life living in Duluth, Minnesota, I experienced personally the effects from a lack of sunlight during the long winters. I remember feeling lethargic, unmotivated and eating everything in sight every winter. Sunlight and warm weather are not a common occurrence during the winter in Northern Minnesota. Alaska Northern Lights has sold over 30,000 NorthStar 10,000™ light boxes since it opened for business 20 years ago. Just to give you an idea of how effective our light box is, even with our 60 day, 100% money back program, over 98% of customers choose to keep their amazing NorthStar 10,000™ light box.